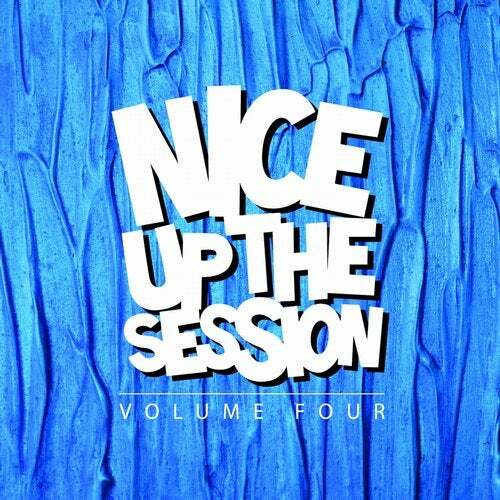 Volume 4 of the popular NICE UP! The Session series and another huge round up of what the label has been upto over the last year or so. Covering reggae and soca from Mr Benn, hip hop vibes from Cut La Vis, dancehall and bashment from Origin One and Jahrkon plus an appearance from dubstep and grime legends Cotti and Terror Danjah, this compilation serves to give a well rounded snapshot of the labels commitment to reggae and soundsystem influenced music. New signings XL Mad and Preacha crop up a couple of times, alongside showstoppers Ghost Writerz and LA based bassbin botherers Lost City. As always, there are a number of exclusives included - Mr Benn's previously unreleased one drop take on his massive "Feels Right", Jahrkon's brutal electro-bashment remix of XL Mad's "Bruk It Gal" and T.Kay's jungle infused rework of Preacha's "Crying" featuring Jay Spaker. Riddim Punks get busy with Blend Mishkin & Roots Evolution's "Settle Down" featuring the unmistakeable voice of Exco Levi - a tune that has been hammered on dubplate for over a year and finally Italy's Numa Crew take on their own hypemaster XL Mad with a hyper drum & bass remix of his breakout single "Bam Bam Killa" - all previously unreleased! Wherever you are, be it making a cup of tea, in your ride, lounging on the beach or raving in a field, consider yourself well and truly NICED UP!